How many devices do you own? A smartphone, laptop, smart TV, tablet, game console? Do you find yourself using some of them less than you did in the past? With the advanced technology, accessibility and comfort that smartphones offer, our need to use other devices is diminishing. In 2018, personal computers, tablets and game consoles were the devices most affected by these everyday shifts in online behavior. And consoles are having a major impact on the wider gaming industry and habits as well. Slow changes in ownership hide big changes in usage. To understand trends and device popularity, the tech industry often tends to focus on sales figures, shipments or other metrics that indicate ownership. However, this doesn’t take into account the important shifts in device usage that come to light when we dive more deeply into opinion and behavioral data. A consumer owning a PC doesn’t immediately mean they’ll find it useful compared to their other devices. 48% of digital consumers say having the latest technological products is very important to them. 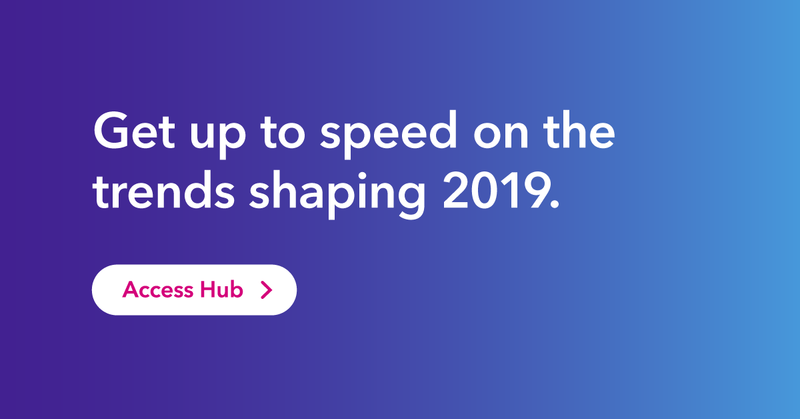 Tech giants like Apple take advantage of this by introducing new devices and new models of existing devices on a yearly basis, keeping the hardware front of mind. Multi-device ownership is a challenge to ad targeting not only because people can own several devices, but also because they don’t necessarily use them for the same activities. People also own devices (e.g. a home PC) for years, silently letting go of them while remaining owners in the statistics. There are more people who own a smartphone, a PC and a laptop than people who own smartphones alone. Even taking device cross-ownership into consideration, the smartphone is increasingly rendering digital behaviors on larger screen devices obsolete. 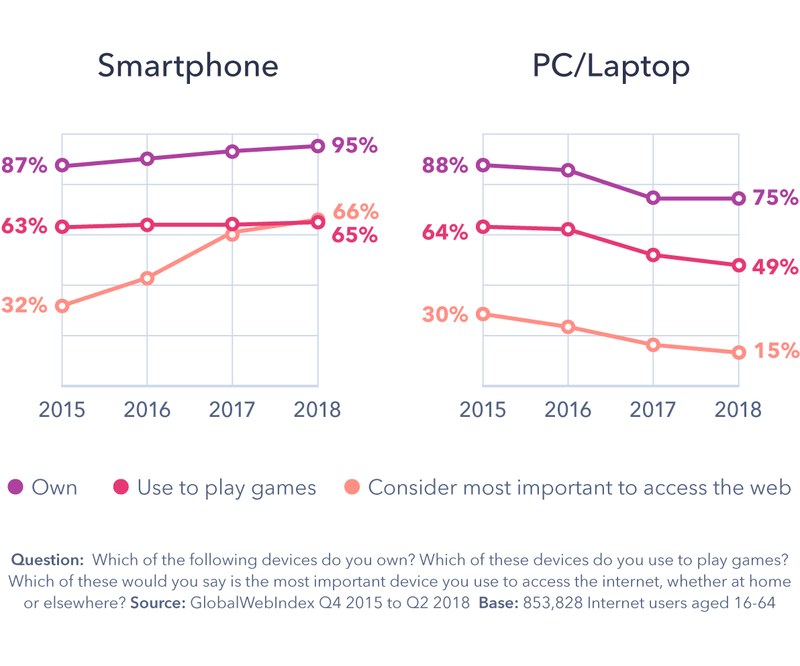 Actual PC usage is slipping and use cases are narrowing for the non-phone devices, especially when we consider users who own one of each device. The tablet is probably the main device that failed to live up to tech companies’ expectations, as it was originally expected to replace home computers and laptops. However, prominent forecasts that offices and households would give up other devices have proved to be misleading, according to both industry figures and our findings. Just 7% of tablet owners describe their tablet as the most important way they access the internet. Tablet devices are still widely used to stream media services, though not as often as home computers and laptops. 37% of online users who own both a PC or laptop and a tablet say they watch TV on their tablet, compared to 55% who use their PC/laptop. Tablets remain more popular with older audiences. More than 1 in 3 respondents aged 45-64 say they use a tablet to access the web, compared to just 1 in 4 of 16-24 year olds. The former age group is also the only one showing an increase in tablet usage since the last quarter of 2015. The continuing appeal of this device with older audiences is likely due to its larger screen compared to the smartphone, as well as its ability to serve as a reader, a TV, a computer, and a connection to the Internet. The current state of PCs and laptops. Personal computers and laptops had the sharpest downward trend in ownership, internet usage and importance over the past three years. 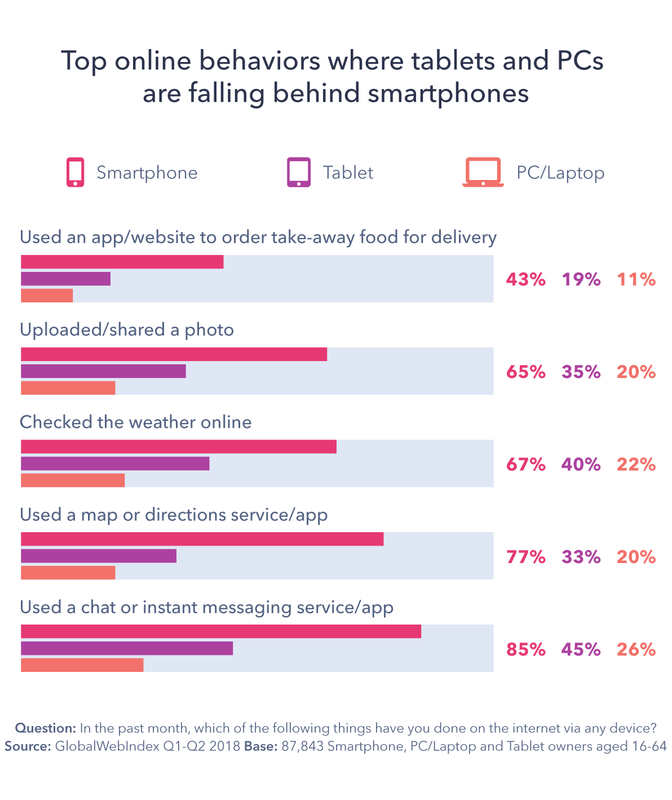 The majority of online activities that were typical for the PC in the past have now been replaced or supplemented by the smartphone. 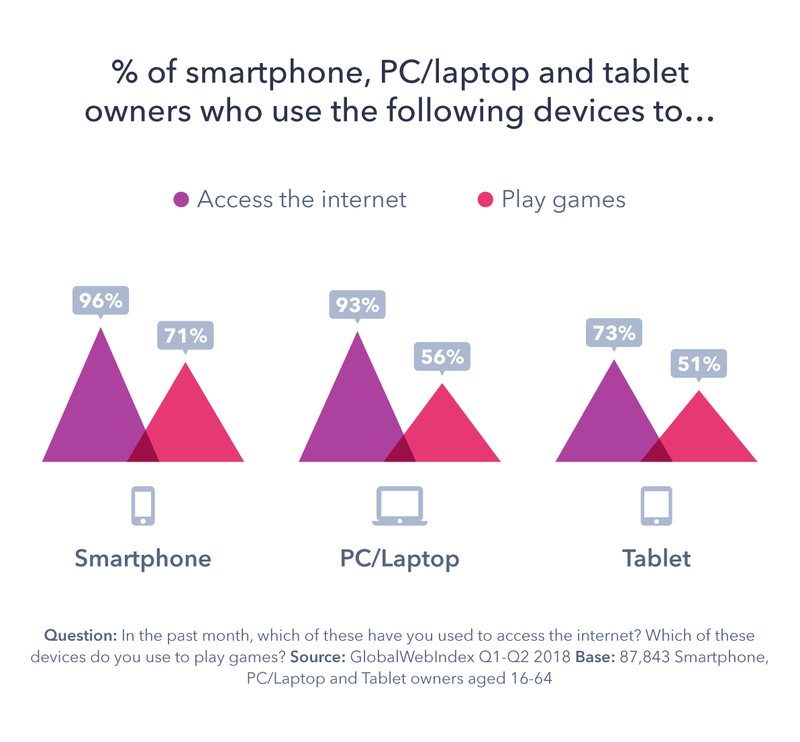 56% of those who own both a home computer and a smartphone prefer the computer to play games, while 71% use their smartphone. This wasn’t the case in 2015 as smartphone technology wasn’t advanced enough to incorporate complex game graphics and functions. As gaming devices, PCs/laptops were only three percentage points behind smartphones in 2015. As of 2018, the gap is 15%. 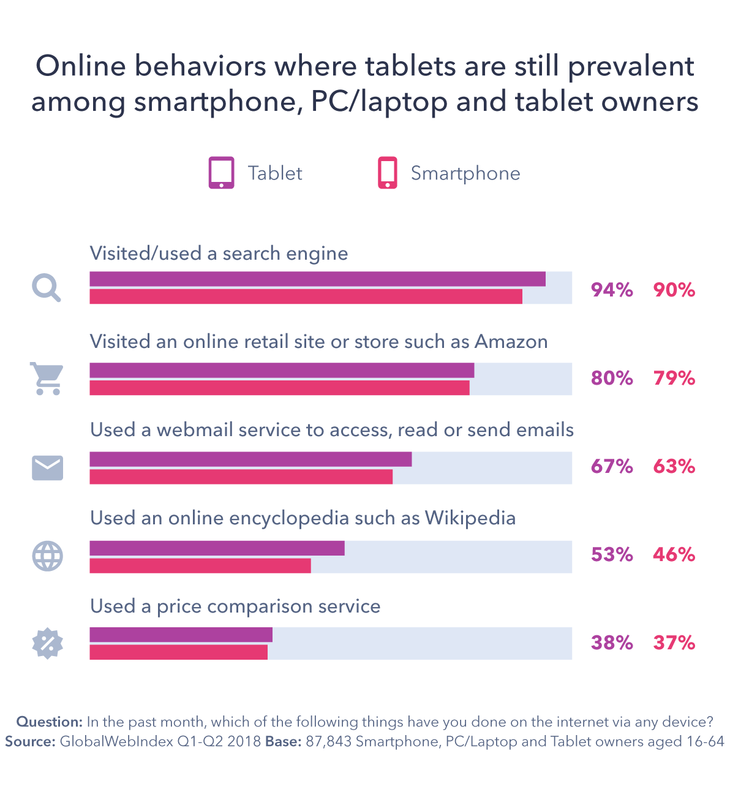 2018 is the first year where we’ve seen people actually abandon the PC for specific activities, with these devices drastically falling behind smartphones and tablets for online behaviors of those who own all three devices. Just a year ago, the dynamic was different, and computers were still prevalent for activities such as using Wikipedia, emails or search. Regional differences matter in PC and laptop usage. Europe has remained the only region where PCs and laptops are as prominent as smartphones to access the internet. This is largely due to France and Germany, which show an 11 and 9 percentage point difference in favor of computers, respectively. By contrast, smartphones are prevailing over PCs in Asia, with Vietnam and China leading the charts. Games consoles are the most affected by changing behaviors. The games console market is in a steady decline, with only 1 in 5 owning a game console in 2018 compared to 1 in 3 in 2015. This can be attributed to mobile gaming, which is cheaper and more accessible nowadays. Smartphones’ ability to put forward free-to-play services designed to distract users from high game prices has impacted the popularity of consoles. They also offer abundant distribution opportunities through app stores, reviews, and share buttons. 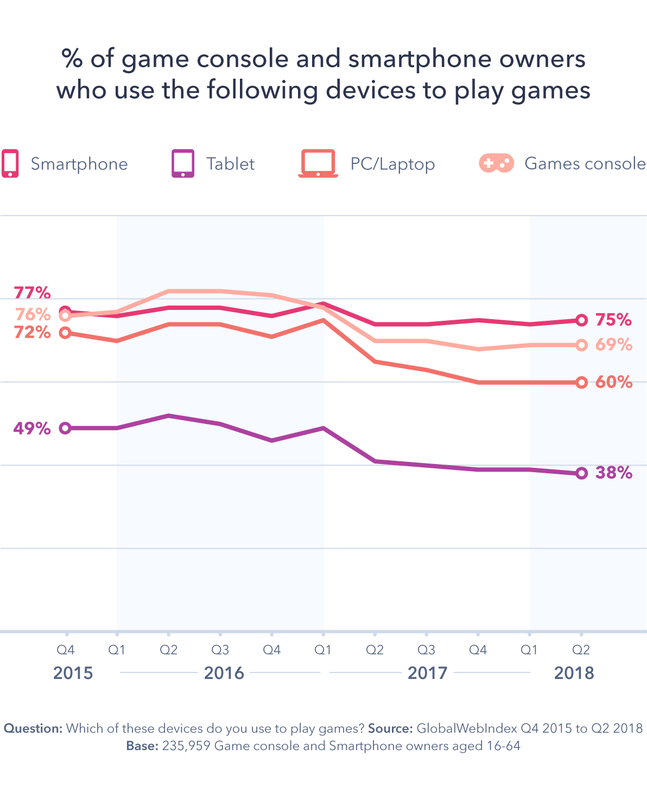 22% of the internet population used a console to play games in 2018 – 65% chose their smartphone. Even when multi-ownership is taken into account, games consoles are less popular than smartphones today. 69% of online consumers who own both devices play games on consoles compared to 74% who use mobile devices. Just two years ago 80% of users preferred games consoles over mobiles. The tipping point of consoles vs. smartphones for gaming took place in Q1 2017, when the former started gaining momentum at the expense of the latter. This was also marked by Microsoft’s gaming revenue declining by 5% in the first quarter of 2017, which the company attributed to lower revenue from consoles. Games like PUBG and Plants vs. Zombies, that offer interactive gaming experiences with other players, were previously available only on PC and consoles. The mobile, however, has disturbed this trend, subsequently leading to users letting go of traditional devices. 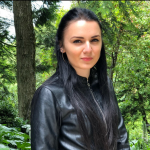 Moreover, the growth in mobile gaming is coming from people who engage with games more casually, as a way of passing time, rather than serious gamers. 31% say they play games on another device while watching TV. The tech industry might see less innovation now considering the level of capability that devices have reached. This was demonstrated in the recent development of virtual and augmented reality incorporated in mobile games like Pokémon Go, which in turn illustrated the long way that VR and AR gadgets need to go before they can take up the space that consoles and tablets are leaving behind. All things considered, 2018 is saying goodbye to tablets, predominantly for younger users, as well as PCs and laptops for those outside of Europe. With games consoles in a decline, there’s an opportunity for smartphones and VR devices to thrive in the gaming realm.